Which is the Bourgogne wine for me ? Want to play ? 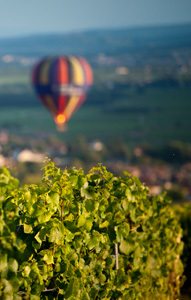 Keen to explore the universe of Bourgogne wines in a fun way ? Or simply run out of inspiration ? Thanks to this quick quiz, in a few clicks you will know which Bourgogne wines suit your taste, depending on your personality and your preferences. Nothing is set in stone. It just takes a different answer to head off into a totally new direction ! With 100 appellations to choose from, there is definitely a Bourgogne wine that is perfect for you. Le Quiz indispensable pour trouver ses Bourgognes préférés. Which of these people do you identify most with ? If you had to leave France, where would you live ? In your opinion, what is France’s greatest strength, as seen from abroad ? On vacation, which restaurant do you choose ? Emotions are your field of expertise. For you, life is made up of encounters, feelings, and adventures driven by your instinct. For you, escapism and romanticism combine with an innate sense of seduction. Your five senses are permanently on alert, even in everyday situations: they guide your desires. What you are seeking in a wine is this same concentration of sensations. You like seductive, rounded, aromatic white wines. For reds, you go for a velvety wine with a deep purple color. You are especially attuned to the noble and rare fragrances of Pinot Noir in Bourgogne, like fur, leather or truffle. You also have a weakness for smoky, spicy notes. For simple occasions, you go for the white peach and brioche flavors of a Chardonnay from Bourgogne. You are a discreet person, reserved even. But when you do speak, everyone falls quiet. Your take on the world is often well-judged, sensitive, and even authoritative. You are attentive to others, and you like others to do the same to you. You also have a certain sensitivity. In your house, a designer piece brought back from Copenhagen stands alongside a terracotta vase from the Dogon lands. Your musical taste is eclectic, going from The Beatles to Jane Birkin. The likeable thing about you is your unostentatious lifestyle, with a natural poise that others may find disconcerting. The same goes for wines : you are not impressed by power or dynamism, but rather by secret emotions and the subtle fragrances that your nose can detect. 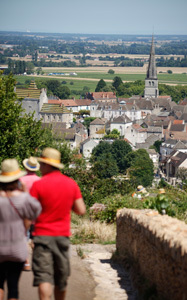 The white wines of the eternal Bourgogne suit you best – but not exclusively, of course, given your natural tolerance. You appreciate their delicate odors of honeysuckle or broom. Among Bourgogne reds, you prefer fine, light, purebred wines. “You only live once” could be the guiding principle of your life. The most important thing for you is being at the heart of the action. For example, you hate to miss a happening party or this season’s hot exhibition. And while partying doesn’t necessarily mean luxury, you have the knack for transforming a dull Tuesday in February into an unmissable event. People like your vivacity, your spontaneity, and your amazing talent for bringing together people who, on the face of it, are incompatible. Your secret? You make people laugh, and your self-deprecating manner offsets your slight tendency for cynicism. When it comes to wine, you like to shake things up and break the codes. 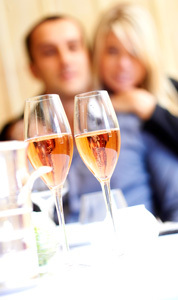 For Bourgogne wines, you go for bubbly, rosé, and taut, lively wines whose youth refreshes one’s ideas. That, along with the essential classics and some more unusual wines to satisfy your anti-conformist spirit. You’re the kind of person who devours life. Action, performance, and to some extent power dominate your character. You are known as someone who charges hard, and your only fear is your own limitations. On vacation, you like an adventure and you are a thrill seeker. You would much rather do a bungee jump from a bridge than geocaching or intellectual treasure hunts. What’s more, you like to seduce. In the kitchen, you always add salt and pepper before tasting. 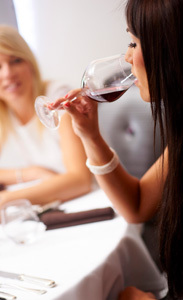 When you think about a glass of wine, your instinct steers you immediately towards a full-bodied red. You like powerful, complex Bourgogne wines, long in the mouth with great structure. These are generous, deep-colored wines, with lots of substance. But you should also take a look at the whites one day, since there are some that suit your personality ! Your big thing is digging out a good bargain. It’s not really a question of money, but a matter of principle : you like anything that is off the beaten track. Trawling the sales, testing new software, inventing recipes from whatever’s left in the ice-box; that’s what motivates you. People think that your are either Spartan, intrepid, or a whacky inventor type like Gyro Gearloose. Yet when they see the photos, they want to go on the same vacation in the Bolivian Amazon, on the trail of laterites in South Africa, or the snowcapped peaks of Tierra del Fuego. The same goes for wines. You have long known that a supposedly well-trod region like the Bourgogne is full of undiscovered gems and back roads. You make no mistake, and every year you ply the roads through the vineyards with a handful of faithful friends to fill the back of the monospace. Your goal is to hunt down great value, surprising and little-known wines to light up your meals. No matter whether they are modest or refined.